Swimmer problem #428: frozen hair in cold weather. So, I saw this survey on P’s blog and thought I would take it as well (I shortened it a little bit). I love surveys and writing prompts because they always make me think and write about things I wouldn’t normally blog about! Making Christmas gifts. I made my brother homemade hot pepper oil last night. I’m pretty sure he doesn’t read my blog, so I think I’m safe to share this info and picture, ha. Sorry for the poor picture quality. I hate taking pictures at night! Drinking hot coffee and soda. I am on a soda kick lately. My current faves: root beer, grape soda, and ginger ale. Don’t tell my dentist! Reading the Bible and Letters to a Young Gymnast by Nadia Comaneci. Jimmy and I started reading a chronological Bible together, which is super neat! I also just finished reading Finding Me by Michelle Knight. It was insane and definitely made me extra thankful for my everyday life and freedom. Wanting to spend more time with my family. I hung out with my mom on Sunday and time went by too fast! Looking at dogs on local animal shelter websites. Jimmy keeps giving me the side-eye for this, haha. Wondering why I don’t work at a bakery. I love baking so much. Hoping I get all of my homework done before the semester is over. Seriously. I am in a major unproductive rut. Yikes. 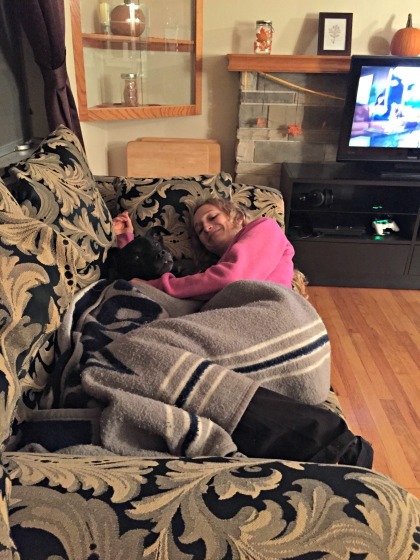 Enjoying cozy evenings with my husband and Lola! Writing articles for school. I’m working on an article about house flipping, and one on the Pittsburgh Pet Expo. Between the house flipping article, watching HGTV, and talking to my parents (who are real estate agents), I feel like I live and breathe real estate lately. I don’t mind it one bit, though! It’s really fascinating to me. Noticing how soon Thanksgiving is. I can’t wait. I also need to get on the ball with making a menu! Needing absolutely nothing. I am so, so blessed. Tell me something you’re noticing/enjoying/hoping/cooking/wanting/etc.! GET YOUR BOOTY a job at a bakery!! I would love to work at one too. I know you’re busy with school and the post-grad career, but if you wanna work at a bakery… do it! Even if you want to be a writer or journalist you could always work in a bakery part-time or something, if you enjoy it go for it :). Plus it looks like you’re really good at it too! I hope you stay warm up there, it was in the 20s here this morning which was cold enough for me. You’re right. I totally just need to go for it and try it out!! Part-time work in a bakery + part-time writing definitely appeals to me!! That hot pepper oil looks so good! Maybe I’ll make some as well – it does seem like it would be a great gift. I can’t even imagine frozen hair. I shudder to think about that cold. Aww,, good! I would love to see this survey on your blog, Amy! I was thinking about you when I was picking out dried peppers at the store, actually!! Is that creepy?! I remembered that IG picture you posted of peppers once and it made me with I lived in the Desert so I would have prime peppers to pick! Dried peppers are a little lackluster in Pittsburgh, as you can probably imagine ;). 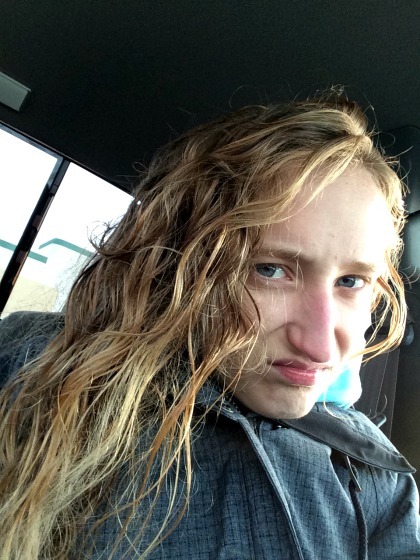 And yes, frozen hair is… ugh. I had to laugh. That’s the only way to stay positive when you’re hair is CRUNCHY! One of my least favorite things about the winter and swimming was the frozen hair aspect. It was awful. I am glad you can relate to that…I always enjoy seeing and hearing your updates Allie. I hope all is well! Brrr, frozen hair! 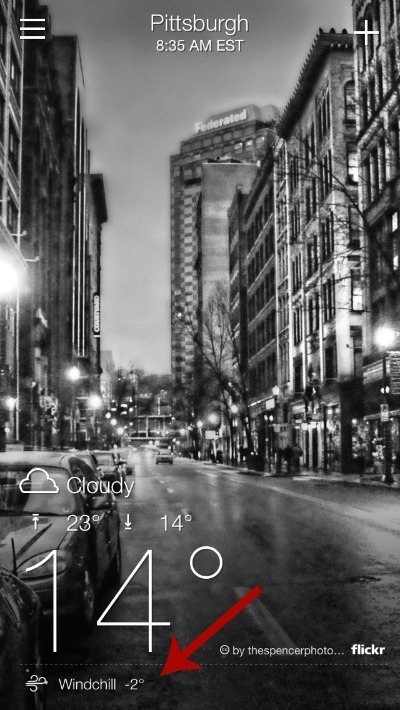 It’s warm here (46F) compared to Pittsburgh temperatures! Good luck with your homework! You can do it! Ugh, I hate it when I get in a rut like that. I was in one (as you know, because you commented on my last blog post, The Final Year Blues 🙂 ), but I have gotten over it now! I seem to be in a blogging rut now though; I keep meaning to blog but my life is so busy with schoolwork! You know what’s even better than wool? Cashmere! It’s super expensive but I recently got a cashmere cardigan reduced from $155 to $87 (I converted £ to $ so it would make sense to you! 🙂 ) It’s really warm! Excuse my ignorance, but what does it mean to “flip a house”? That’s not something we say in British English! Oh yeah, 46* is totally warm compared! Thank you for the good luck wishes on my homework. I need them, badly! I’m happy to hear you’re plugging along and I hope you’re able to step out of the blogging rut! Maybe try this survey to get your gears going?! So, flipping a house means buying a run-down house really cheaply and then fixing it up and selling it for a high price to make a profit. I hope that makes sense! I will be praying for the NHS to approve the medication that your mom needs. I can’t even fathom how nerve-wracking that must be for you guys. I’m sending love your way <3. If it doesn't work out, I think raising money is a great idea, too! I know you will figure SOMETHING out no matter what! You're such a trooper. And how interesting about UL health insurance… I had no idea! Yeah, the survey sounds good! I’ll check it out. I was thinking you would know ALL about the frozen hair, haha!! I’m so happy to hear Chaz has been better! Just last week the lifeguard at my gym was 45+ minutes late. *sigh* haha. I vote yes to a bakery job!! The ovens could help thaw your hair 😉 stay warm, Allie! You make frozen hair look good!! A bakery would definitely be fun, very early hours! Holiday breads would make great gifts for the holidays too! ps. I’m taking a tiny blog hiatus due to work, I’ll be back soon! Hahaha… thanks Patty! Yeah, the early hours are the only non-fun thing about a bakery! I like your idea of holiday breads! YUM. I hope you have a nice blog hiatus! I hate frozen hair haha but it happens all to often and easy this time of year! Note to self: make homemade oil, that is such a great idea/gift! Need all the hot coffee right now, while it isn’t super cold yet it just feels like it because two weeks ago it was in the 50’s in NH! Crazy! 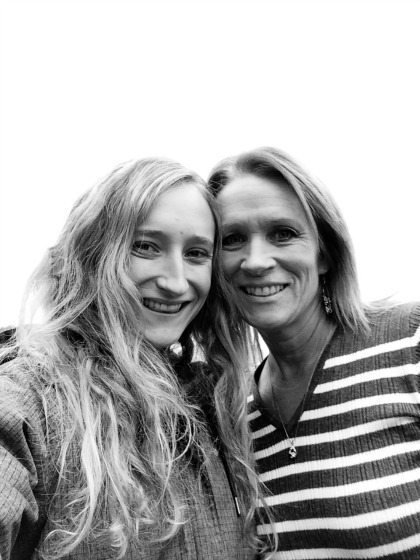 I”m glad you were able to spend some good quality time with your mom -it does go by way to quick though! It really does happen all too often! Sad, haha. Homemade oil is amazing! I hope it comes out good and extra spicy because my brother LOVES heat! I thought of you today when I was making homemade chicken broth! Or would it be bone broth?! I put a chicken carcass in a slow cooker with veggies and spices and called it a day. I can’t wait to taste how it turns out! I despise frozen hair! When I worked full-time, I’d always be running late for work, so I’d run out into the cold with wet hair… and it would freeze…and there was nothing worse than that feeling! One day, you really should open your own bakery! 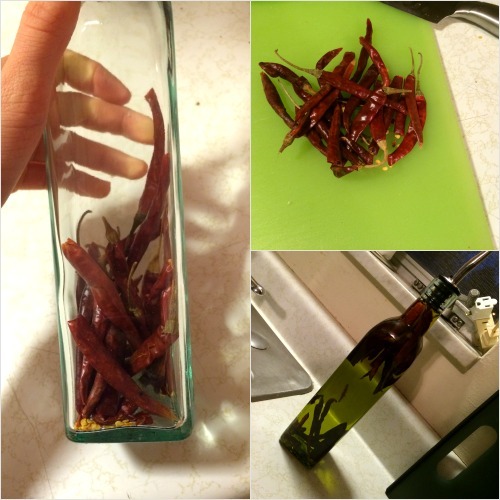 homemade hot pepper oil sounds like a wonderful gift to me – send some ova! and how sweet are you with lola? i feel the same way about mornings with jon + kinzie. OH — and root beer anytime, always, full stop. 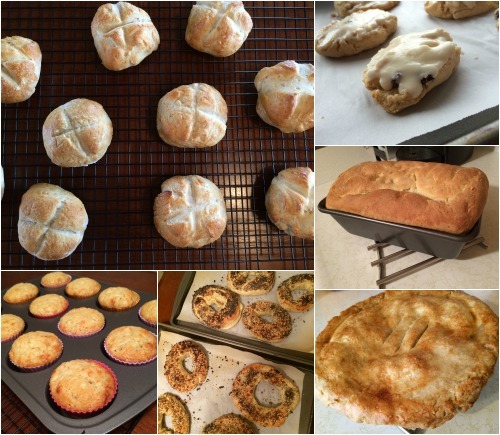 All those baked goods… yum!! You should just open your own bakery! That homemade hot pepper oil is so cool. I never knew you could make that! And as for the wet frozen hair, that’s the worst! I remember I showered one day before walking to school and my hair froze! Hope you are enjoying your weekend Allie! Frozen hair?! Don’t get a cold!!! Hope you guys have a wonderful first Thanksgiving. I can’t wait to see all your food!